In a partnership where love, creativity and cultural traditions intersect, Barcelona-born Cristina and her Venetian husband Pierluigi create these romantic red rose earrings adorned with Murano glass roses . In their studio in the heart of Venice, the pair use centuries-old techniques to create the rose petals and leaves, crafting each by hand over a small flame. 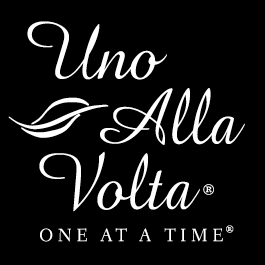 These rose earrings are made exclusively for Uno Alla Volta. 1.75in. Gold-plated leverbacks. Limited edition of 80.